It's that time of year again when people everywhere resolve to get healthy. This may include eating better, kicking your tobacco habit and starting that exercise program you've been putting off for months. Taking better care of ourselves is a common resolution many of us make as we look ahead to a fresh new year. When compiling your own list of resolutions for 2013, don't forget to keep your dental health in mind, too. At Yanik Dental, we make maintaining a healthy smile easy all year long. 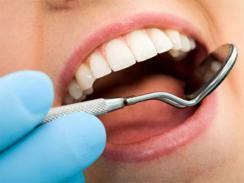 Never underestimate the value of your regular cleaning and exam and always make an appointment with your dentist for any discomfort or dental problem that arises. Paying careful attention to proper brushing and flossing, monitoring your diet and taking advantage of cosmetic dental services are all ways to give yourself a bright, healthy smile. This New Year, resolve to take care of your smile. Start with a regular cleaning, exam and consultation. Ask us about smile-enhancing dental treatments, such as Sinsational Smile in-office teeth whitening, veneers and ceramic crowns. Don't delay; the beautiful smile you've always wanted is waiting for you! Happy New Year to you and your family from all of us at Dr. Yanik’s office!